Sarah makes an upcycled dragon with the help of the young people from Newstead. 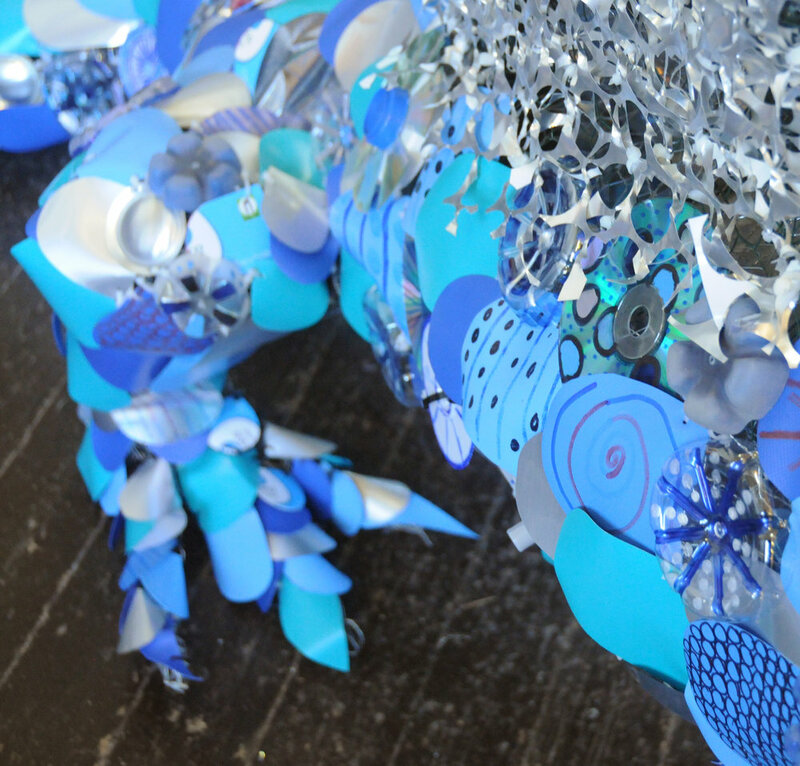 CDs, plastic bottles, drinks lids, soda cans and phone top up cards were some of the many recycled materials which were used to create the dragon. 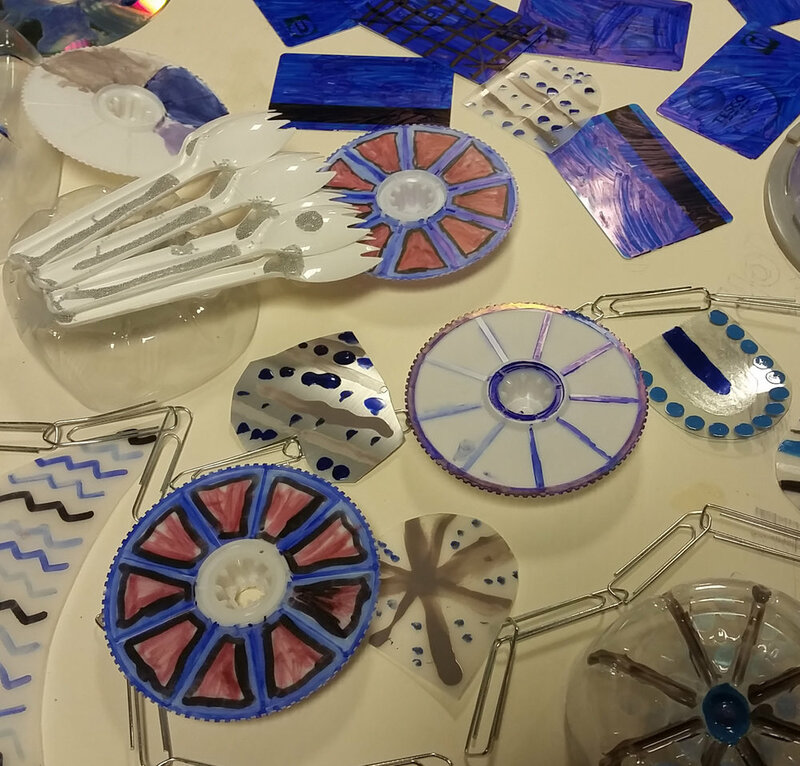 The young people of Newstead helped to cut out and decorate the pieces at the Newstead Youth Centre. 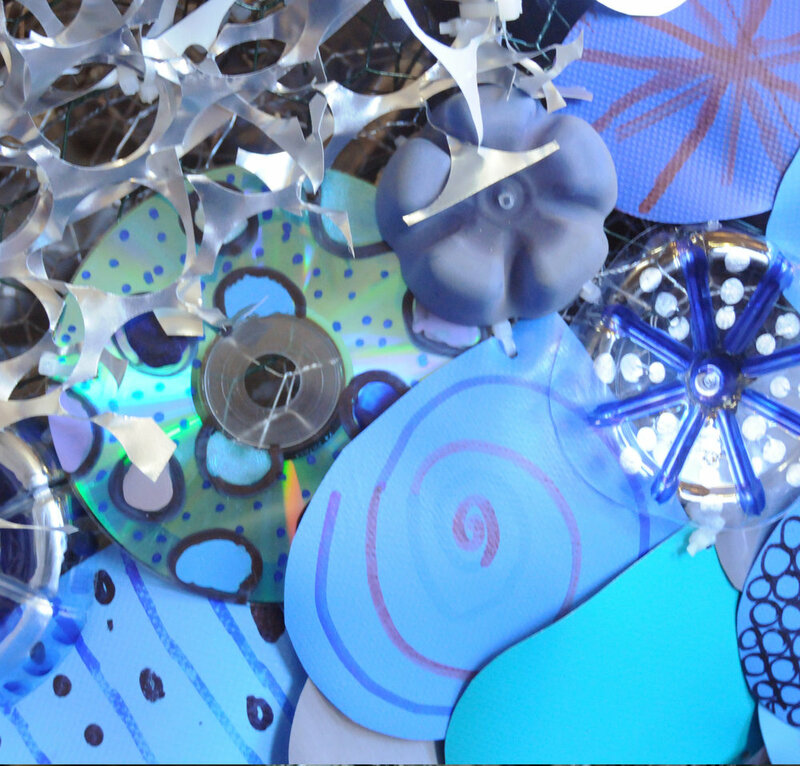 Beautiful patterns were created on each recycled piece by nail polish and marker pens. 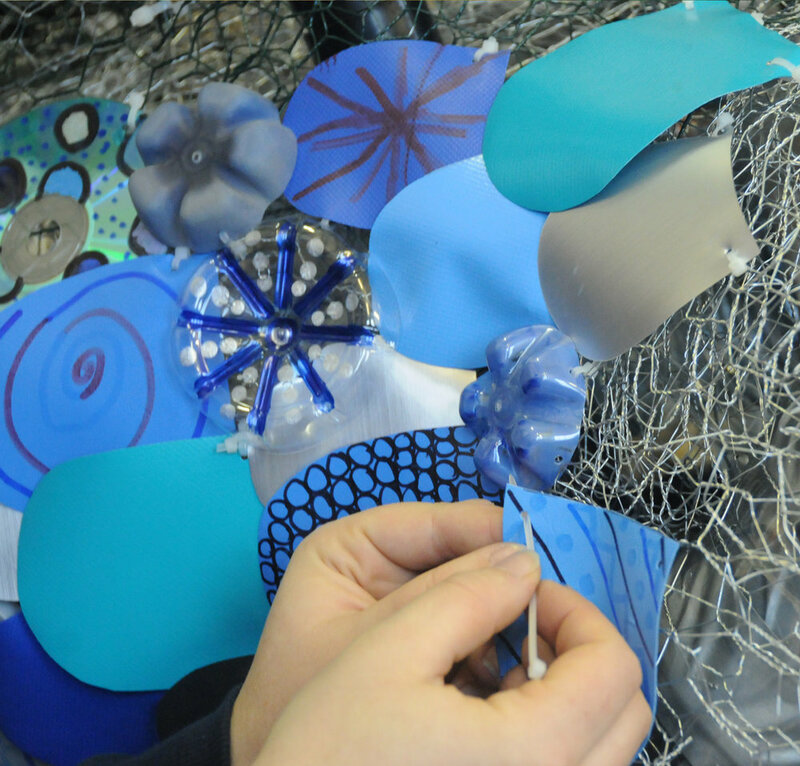 Sarah made the dragon structure in her City Centre studio from plastic plumbing pipes, chicken wire and plastic bottles. She then cable tied each of the recycled pieces onto the structure. The dragon was then displayed at the Newstead Bonfire Night. The illuminated dragon looked great with the spectacular fireworks. The dragon is now going on a tour so look out for him in the future!